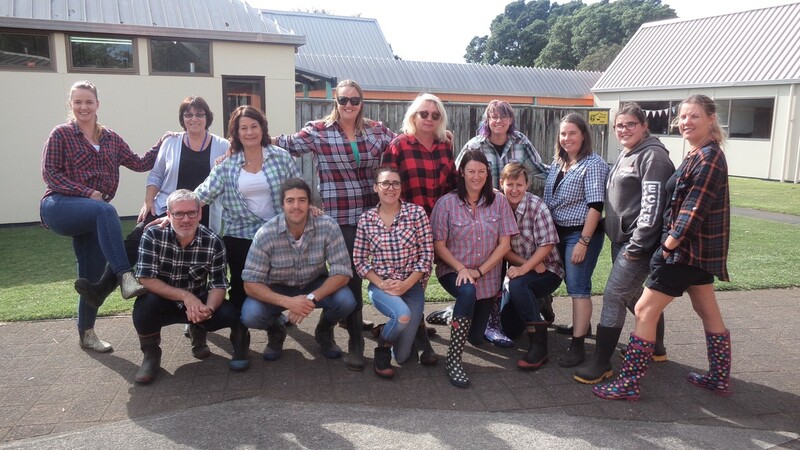 It was great fun to see so many staff and students wearing their gumboots to raise awareness and money for such an important cause. We raised more than $300.00! Even the staff gumbooted up for the day. 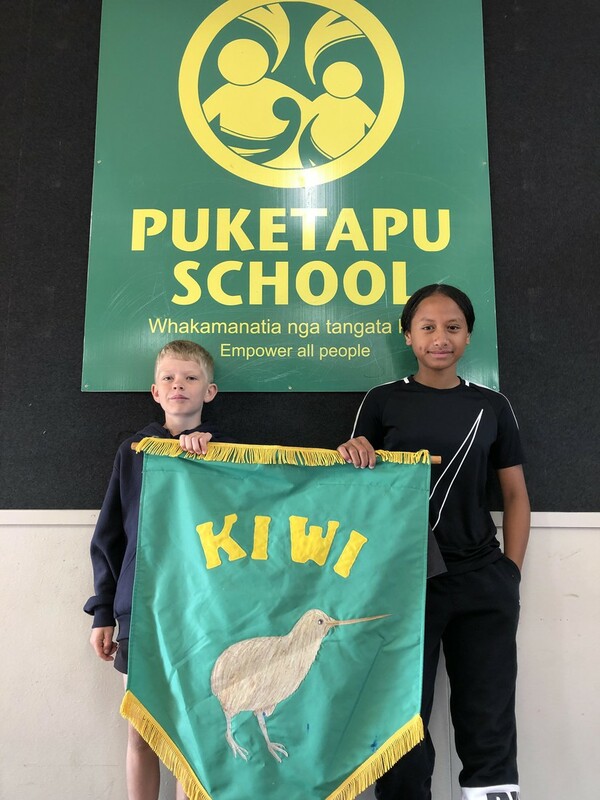 We are delighted to announce more Puketapu Kaitiaki, who have a number different roles within the school. 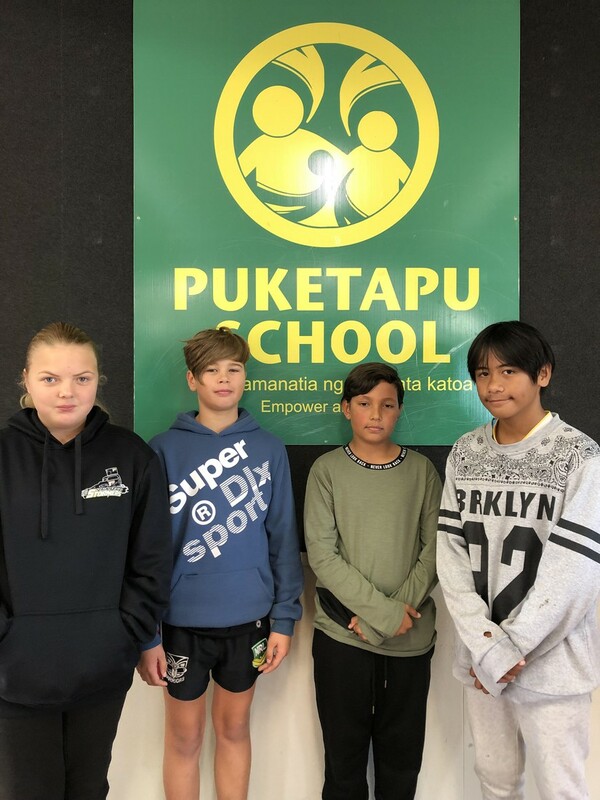 ...work as a collaborative council to be the voice of the students from Rimu to Kauri, attending Student Council meetings to address any issues and work together to find solutions to allow our school community to strive towards our school vision. ...represent students when voicing collective opinions, ideas, frustrations, feedback and suggestions to teachers and/or staff members in a respectful manner. 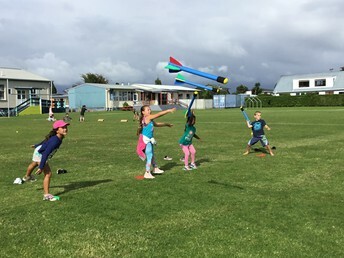 ...adopt a Tuakana/Teina role within the school to be a role model - a big sister/brother to the younger students. ...organise and promote fundraising for community events such as Loud Shirt Day, Daffodil Day or Gumboot Up Day. ...be prepared for events which may include addressing an audience. 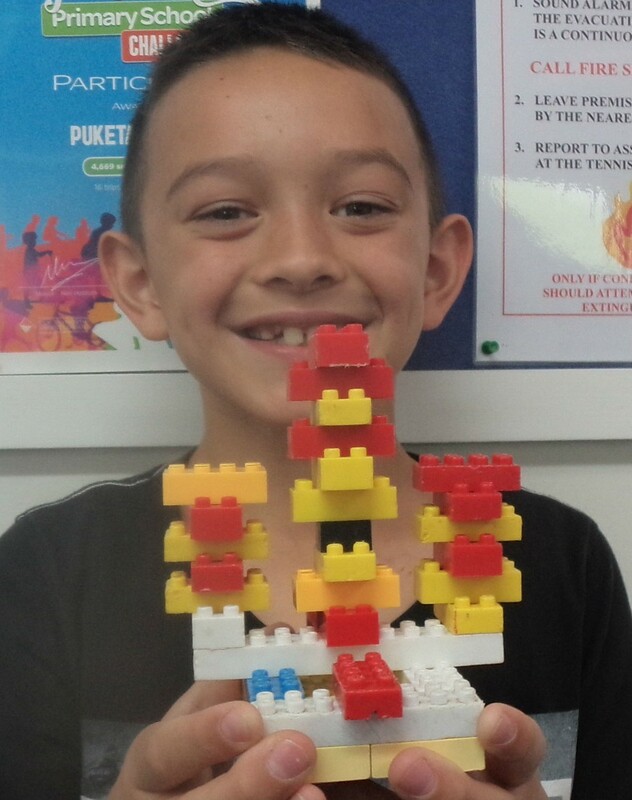 ...be the face of Puketapu - greet visitors and show them around our kura, being involved in powhiri. 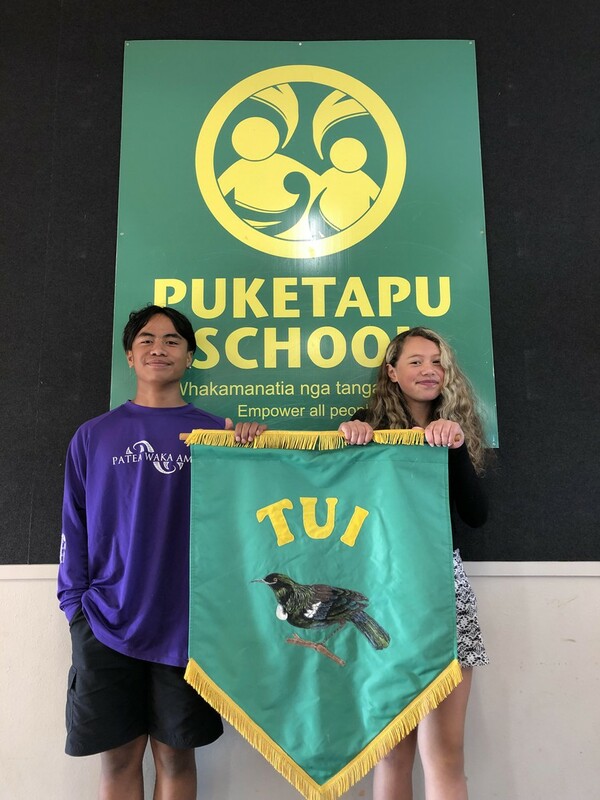 Tui Whanau Leaders: Caesar Davis and Ashaela Brider Bailey. 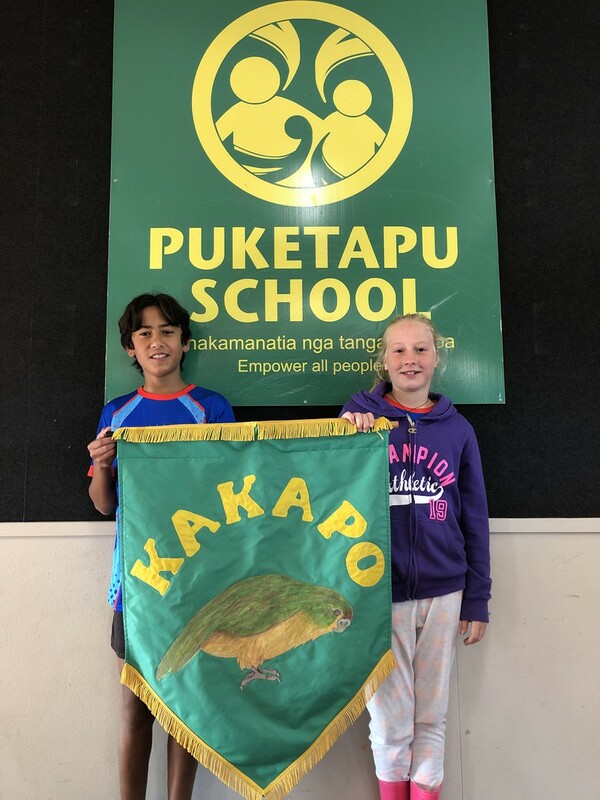 Kakapo Whanau Leaders: Ngamotu Rongomai and Petra Keith. 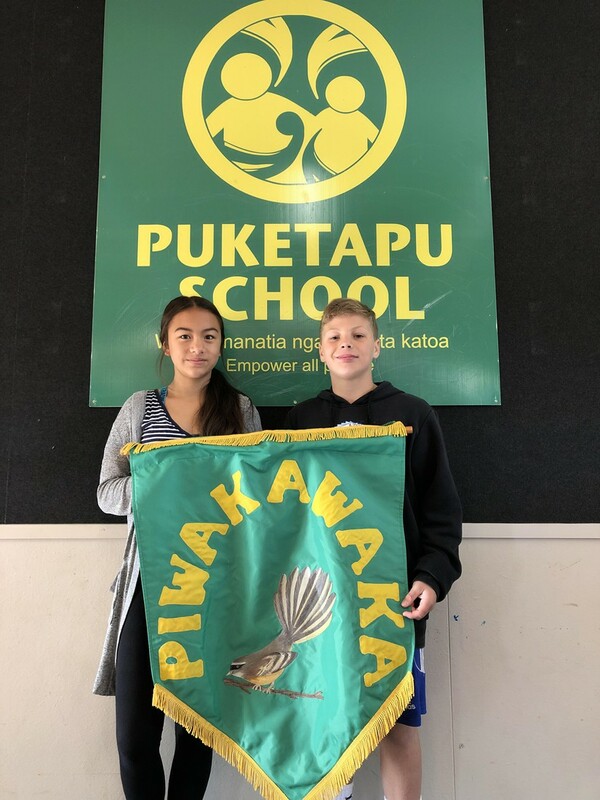 Piwakawaka Whanau Leaders: Serennah Hobin and Nathan Deacon. Kiwi Whanau Leaders: Alex Cross and Tirahia Ormsby-Turner. 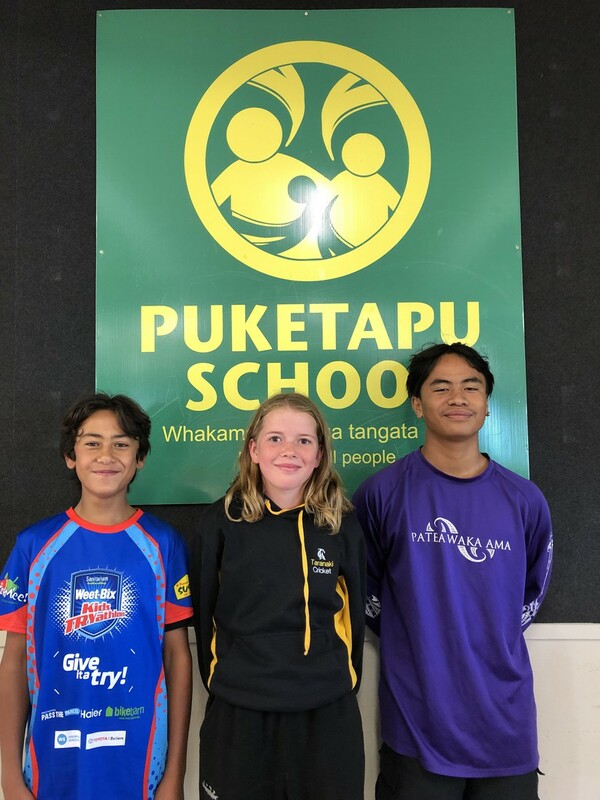 Sports Leaders: Ngamotu Rongomai, Charlotte Blackmore and Caesar Davis. 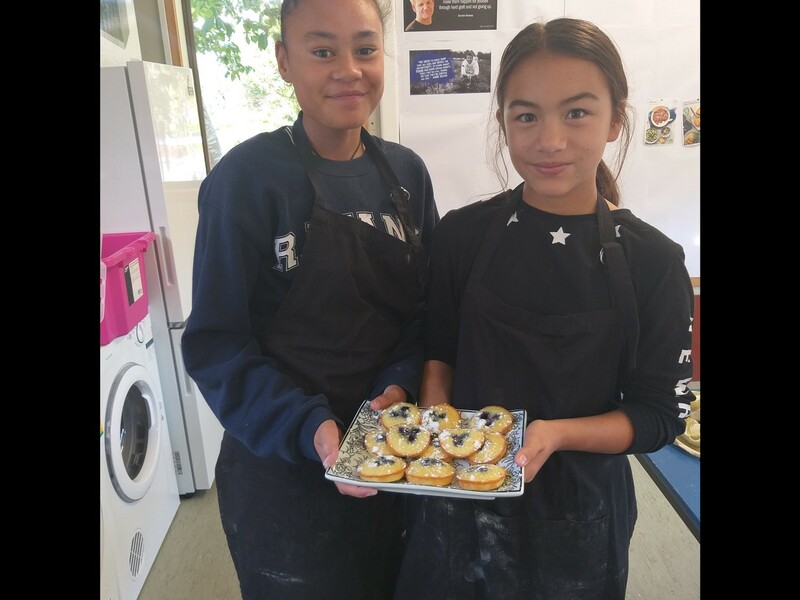 Staffroom Leaders: Tyah Taiawa-McKay and Lajayshea Hori. ICT Leaders: Abbey Houghton, Cohen Allan, Chayse Wilson, Vance Davis. Art & Music Leaders: Oracle Rangi and Kyla Dorne. Congratulations to the winners of our Values Awards presented at Showcase on Friday 5 April. These are given to one student from each Learning Team for showing our School Values. For all her effort in arranging and organising the Puketapu's Got Talent show. 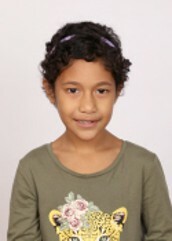 She has shown all the school values throughout the process. 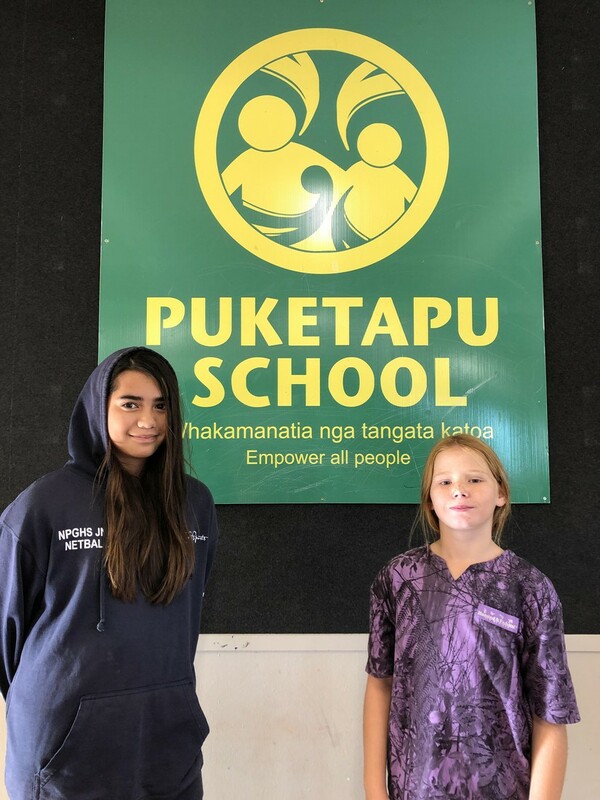 For showing Kia Kaha by working really hard on her learning, Kia Māia by contributing in oral language activities and Kia Manawanui by being a kind and caring member of the Totara Learning Team. 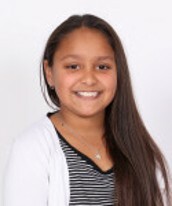 For showing all of the school values on a regular basis, but especially Kia Maia. 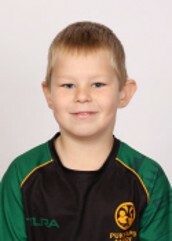 He is has been so courageous the way he has settled into Rimu 1 and the whole school. Well done all of you. 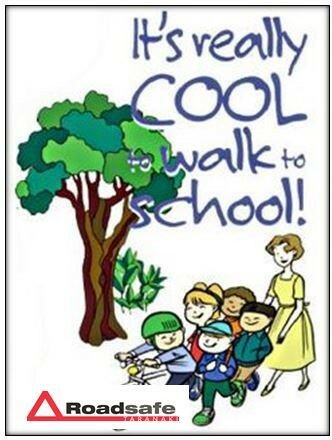 You make our school a better place by showing our values. Thank you to The White Pear Cafe for sponsoring our Values Awards. Duffy Awards are awarded for academic achievement, progress, improvement or attitude to learning. Students receive a certificate and get to choose a book to keep. We are delighted to announce that First Gas has generously agreed to be our new sponsor for our Duffy Books Programme from Term 2. Thank you First Gas, you are helping lots of kids to read! As part of the Duffy Programme, we recently hosted writer Joanne Guy at a Role Model Assembly. 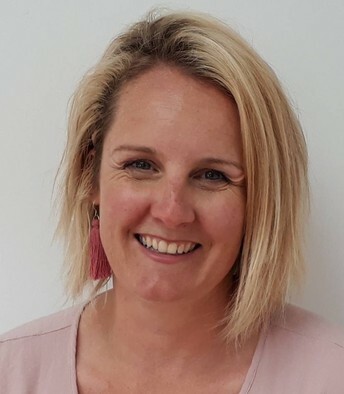 Jo has four children and is ‘Granny Jo’ to fourteen grandchildren. She and her husband Bryan dairy farmed for over 40 years near Feilding and now enjoy their large garden with many native birds and trees. She writes inspirational blogs for www.makelemonade.co.nz and has also written and published two children’s books. 'Snooty Stanley Plays a Prank' and ‘Stanley Meets Bob Cat the Bully'. Jo visits schools as an author and role model for the Duffy Books in Homes foundation. She loves nothing better than to inspire and encourage children to read and have a dream. 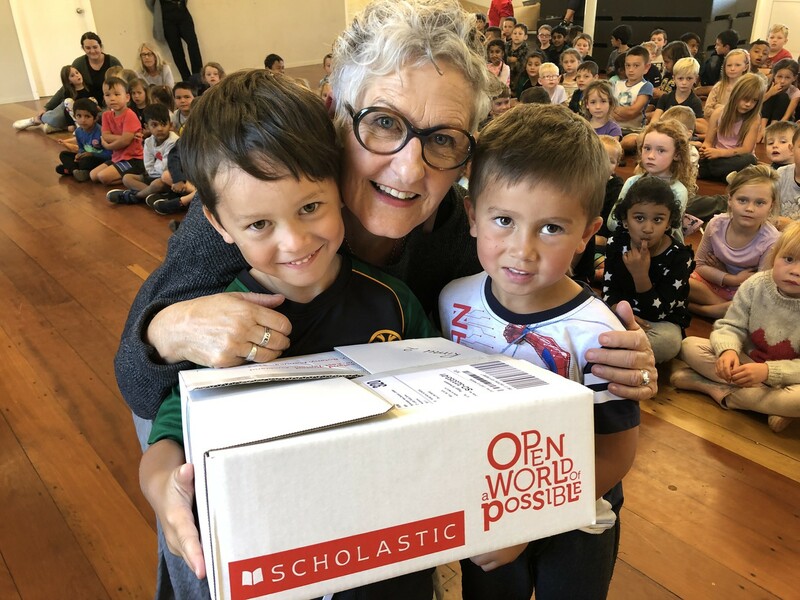 Our junior school enjoyed her talk and loved receiving their Duffy books. 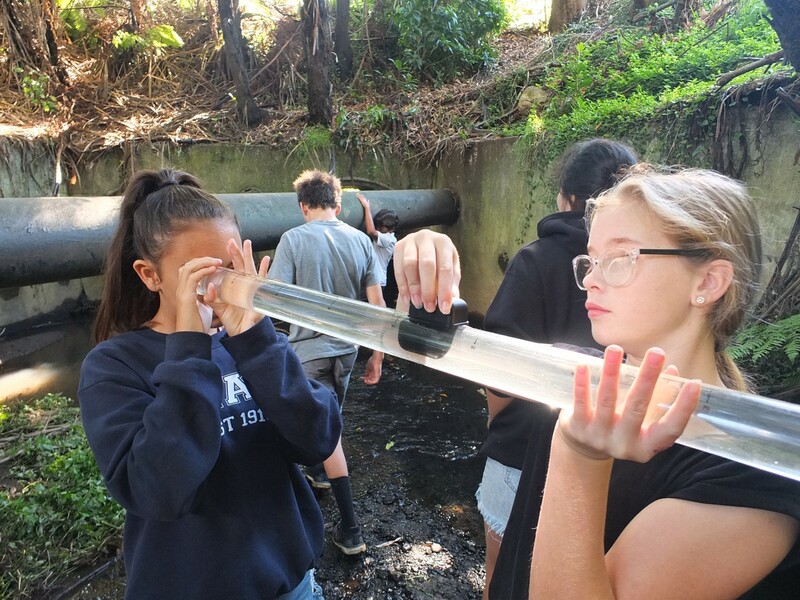 A group of Kauri students went to the Mangati stream on Thursday to monitor the water and check the health of the stream. In my EMR group we made an action plan to see why there is a shellfish ban at Bell Block Beach. We came up with the idea to test the stream about how polluted it is and what is really going into our beach. On the 4th of April a Kind Man came into our school to help us with this project. We walked down to Mangati stream and set up the equipment on the side where the main road is. There was a tube where you add water in one end and move the 2 magnets to see how clear the water is. 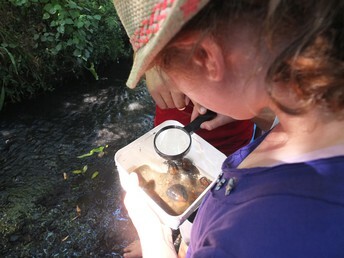 Another test was where we added things from the stream and used a magnifying glass to examine what sort of living things were in our stream. I don't think our stream was very clean. 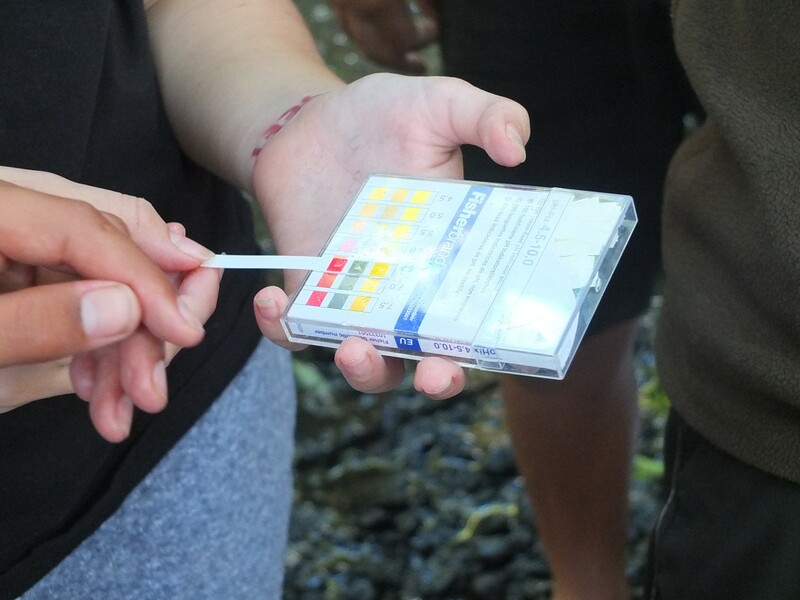 I really enjoyed learning how to use different methods to examine the stream and collecting the data. How do I show this in my learning? My brain is a muscle. In order for my brain to grow it needs to exercise. I can exercise my brain my learning and thinking. When I think, black words appear against white paper or sometimes my brain just goes crazy and I see pictures and hear echoes in my head. You know you have learnt something when it becomes easier, like basic facts. Having a growth mindset really helps exercise your brain. 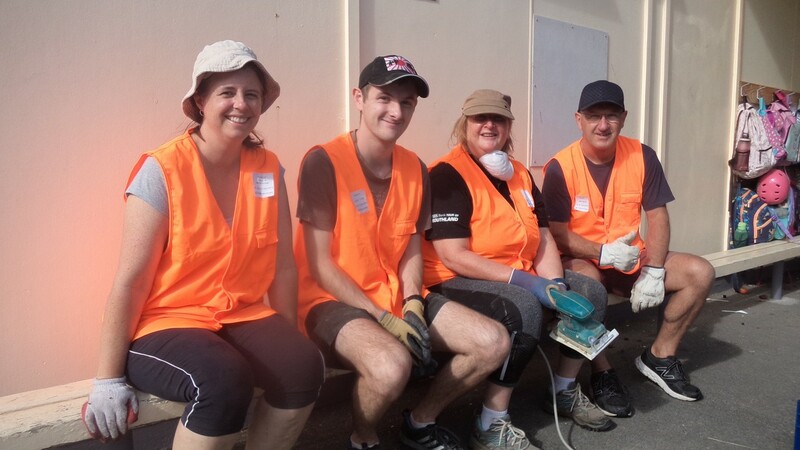 We would like to say a HUGE thank you to John Walsh and his team of volunteers who have been at our school this week as part of Heart Week, donating their time to make our school more beautiful. They have gardened, tidied, cleaned, made our storage container watertight, weeded, sanded and prepped for painting... they have even made plans for our bike and scooter racks to get a fresh coat of paint! Thank you all so much, we really appreciate you all coming to help us out. 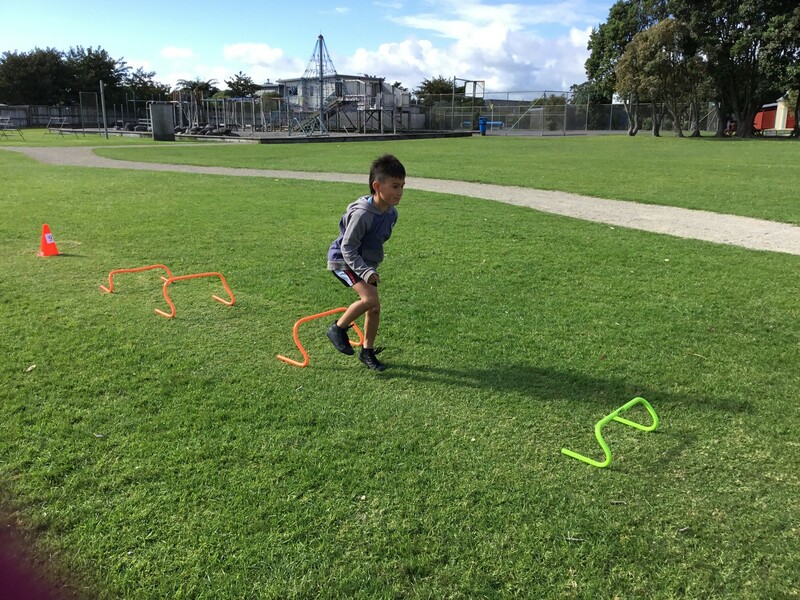 Totara 1 and 2 are working on developing our physical skills through fitness such as throwing, jumping, fast feet with the ladder and hand-eye coordination with the gutter boards. Not only do we improve our ability, but we get nice and fit at the same time! Here we are ...week 10! Its been a great term with lots of new learning experiences in our kura, specially within Design and Technology. 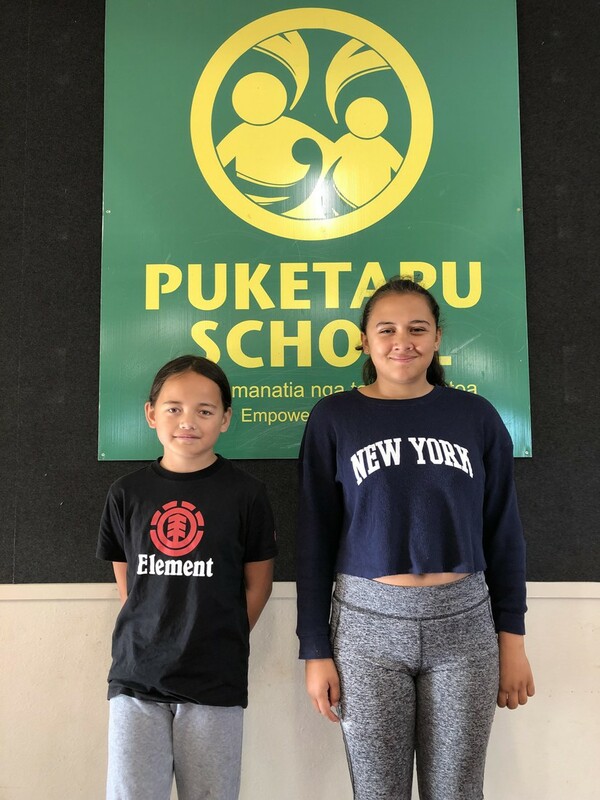 I just want to take the time to say a huge congratulations to our Kauri students who have come into Tech class with an open mind and willingness to learn and experience some new things. 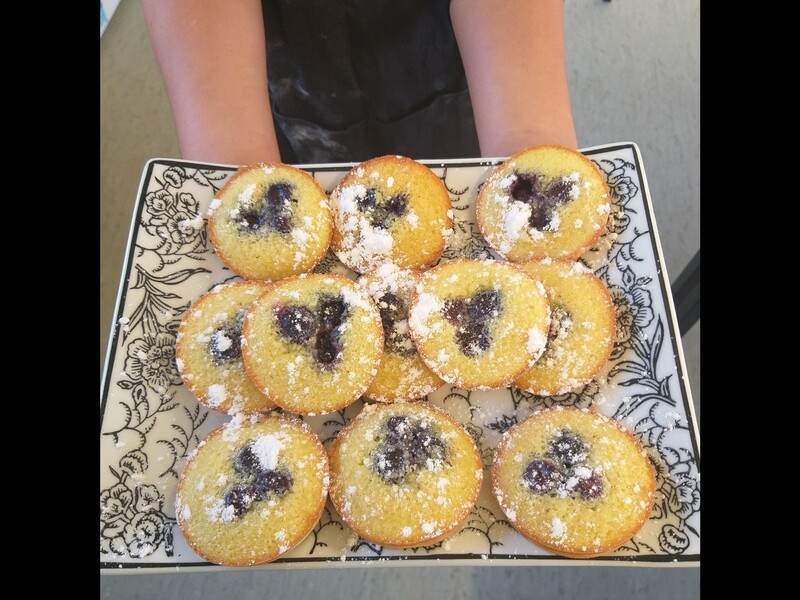 This week we have been cooking and having shared kai at lunchtime. The idea behind this is so that we can connect as a group and chat around some food. It has been a test for our new kitchen, and I will be working with Mr Walker to try and get it a bit more up to speed. Have fantastic holidays and get cooking in the kitchen! 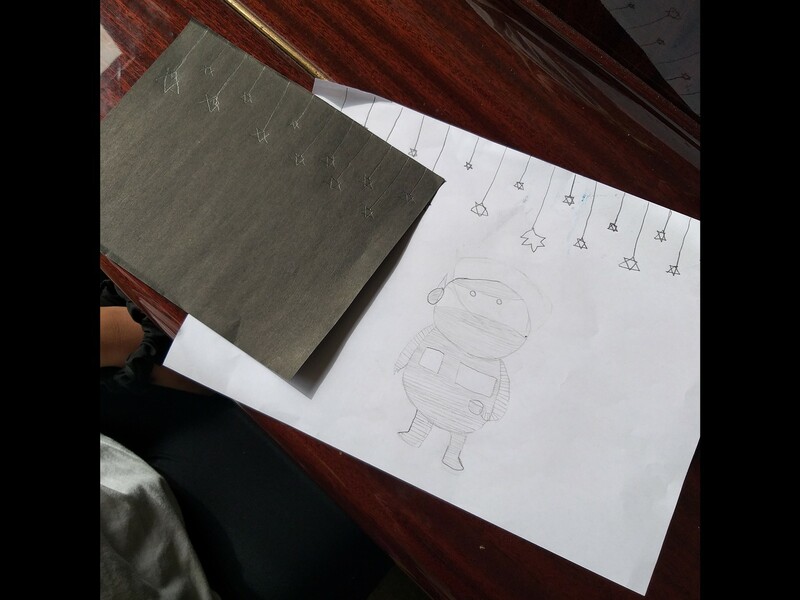 We have moved on from creating our street art, and are looking at artist models to create some new work. Space Cadet, a graphic novel created by Eric San aka Kid Koala, uses etching to create black and white images. 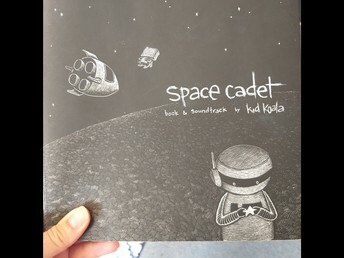 The story is about a astronaut and her space robot guardian. 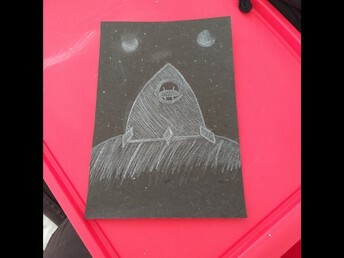 The kids are creating their art on either black paper with white pencil or white paper with black pencil. Congratulations to Rimu 2 who have won this Term's "Cleanest Classroom" competition, which is sponsored and judged by our school cleaners, Crest Clean. Well done Rimu 2 - some of our youngest akonga setting the best example for us all. Touch season is now all over until Term 4. All outstanding touch uniforms should now be returned, and all Touch fees need to be paid now please. Netball uniforms have been issued and netball invoices will be coming out soon. Miniball and basketball will be early next term. 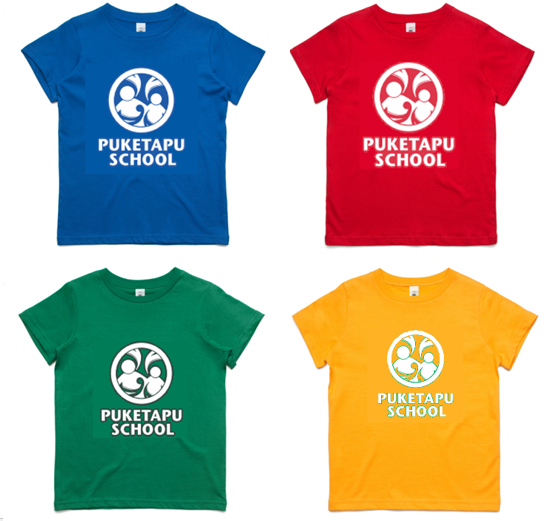 At the start of next term we will be putting in an order for Puketapu School branded hoodies (lots of different colours in a range of child and adult sizes) and for Puketapu School branded T-Shirts in the four Whanau Group colours. T-Shirts will be $15 each (AS brand) and there will be sample sizes to try at the office. Hoodies will be $55 with your name on the back, $45 without. 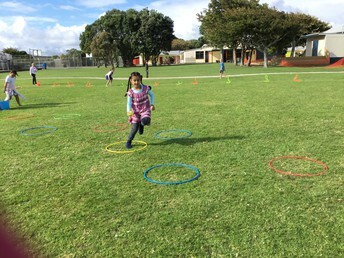 Welcome to Kaushik Naicker who joined Puketapu School this week. Next Term we will be electing the Board of Trustees for the next three years. Every parent gets to vote and you can nominate anyone you believe will help govern our school. Nomination forms will be coming out in early Term 2 and nominations must be made before Friday 24 May. Election Day is Friday 7 June 2019. 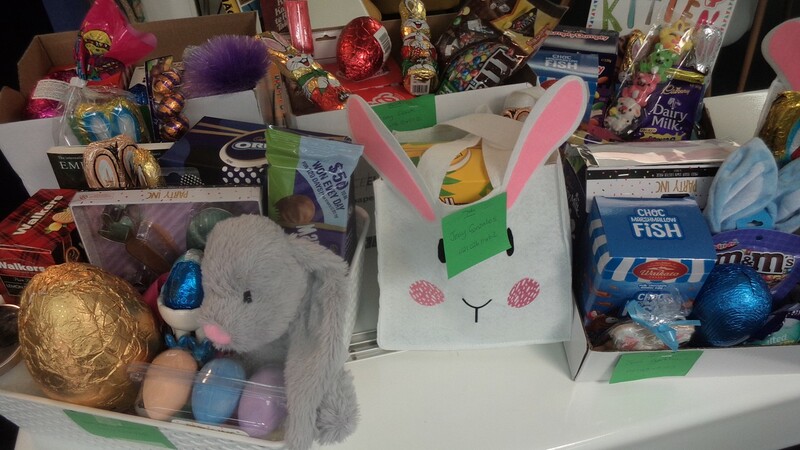 To all those Year 5 & 6 students who sold tickets and made donations towards our Easter Raffle. It has been a great success. To everyone who supported this camp fundraising activity by buying tickets. We greatly appreciate it. There is no lunch this Friday as it is the last day of term. See you all next term and thanks White Pear Cafe for keeping us all so well fed. Check out this Chinese Lights model by Tyreece! Please come and check on the mountain of lost property. There is so much unnamed, unclaimed clothing, shoes, hats and other items. 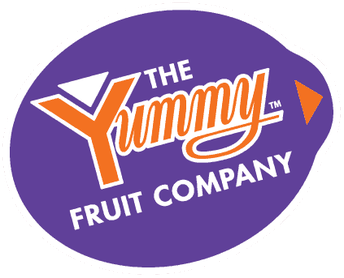 This year we are going to collect Yummy Stickers so we need everyone to start munching and crunching Yummy apples. The Yummy Company has $200,000 to give away to primary schools for sports gear and this year Puketapu wants a portion of that. The more apples we crunch, the more stickers or cut outs we can collect and the more money we can earn. 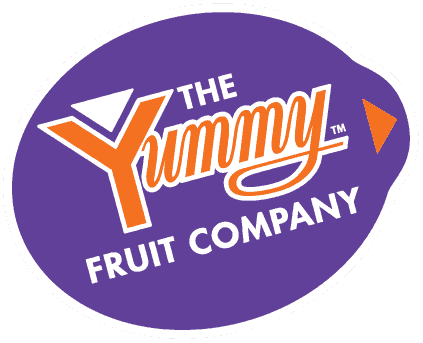 Yummy fruit can be bought from New World, Pak'n'Save and Four Squares stores. You can bring in BOTH the small oval Yummy stickers from apples or the large white cut out sections from bags of apples. There are collection sheets at the office or from Mrs J in Kauri 3. This promotion only runs for term 2 and 3 so get munching and earn us sports equipment. Completed sheets can be returned to Mrs J in Kauri 3. As we continue with our planning, more things will be added to our Calendar. Further information will come home regarding trips and outings. Monday 17 - Friday 21 June: Hockey coaching this week for Totara, Kowhai and Kauri More info to follow. 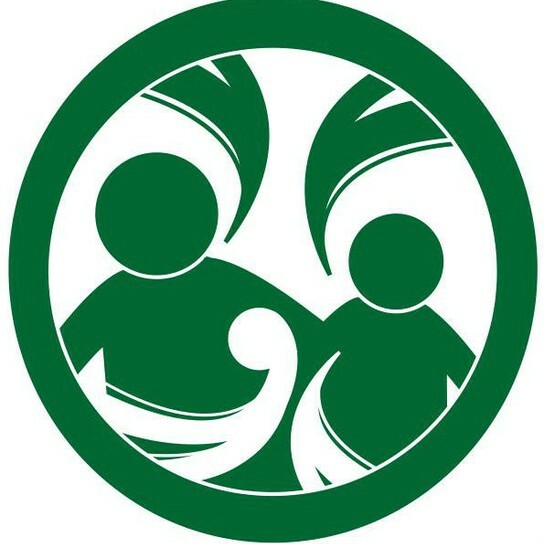 Sport Taranaki needs a new logo for their Skills4life programme. Draw, design and create a logo that reflects what Skills4Life is all about and you could win! There are Skills4life sessions up for grabs for the winning student and their class. Not sure what Skills4life is? 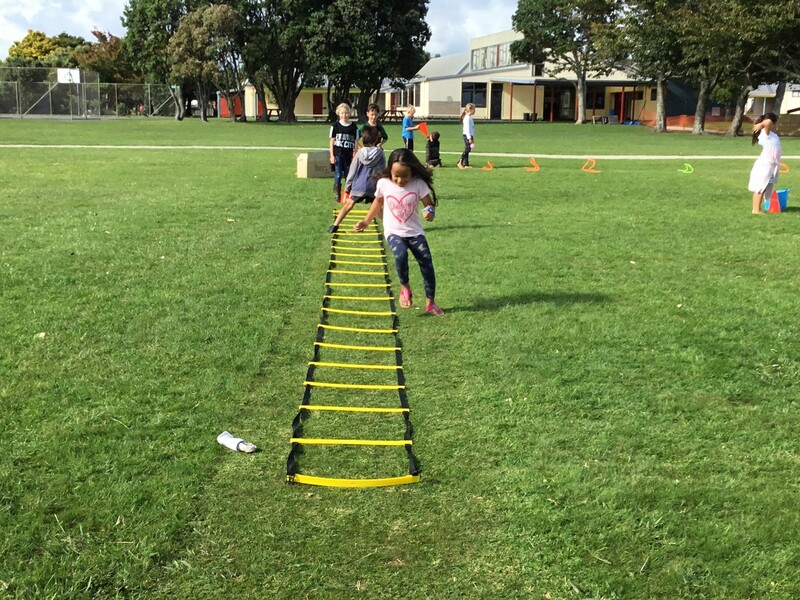 It is a programme run by Sport Taranaki that delivers fully inclusive fundamental movement skills and game sense sessions across Taranaki schools. 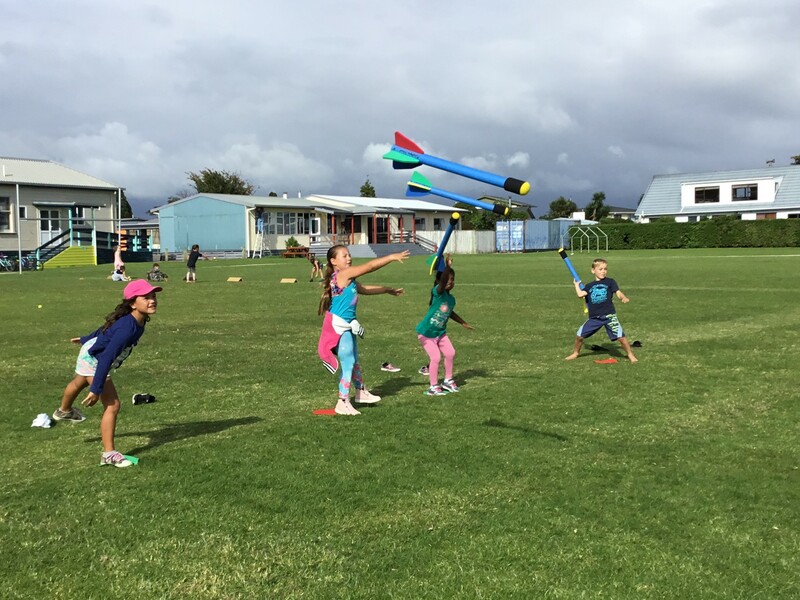 The programme aims to sustainably integrate Skills4Life as part of schools’ health and physical education curriculum, with a focus on professional development for teachers including term planning sessions for PE, alongside modified and wet-weather game ideas. Find out more on our Skills4Life website page. How do you get your logos to us? The Naki Run Amuck, mud run, is on Sunday 14 April this year at the Urenui Domain. This is a fun event for people of all ages with all proceeds going to charity. This year the major beneficiary will be Land SAR Taranaki. A family run of just over 3km for up to year 8 children will be part of this years’ event. 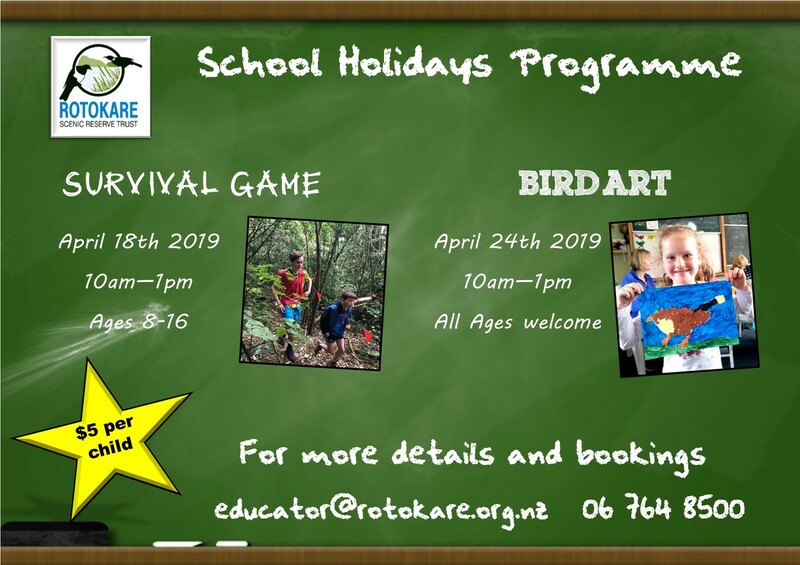 A group of 5 of either 1 adult and 4 children or 2 adults and 3 children can enter as a family group and have fun together. Heaps of spot prizes. For more information please visit our website www.nakirunamuck.co.nz. 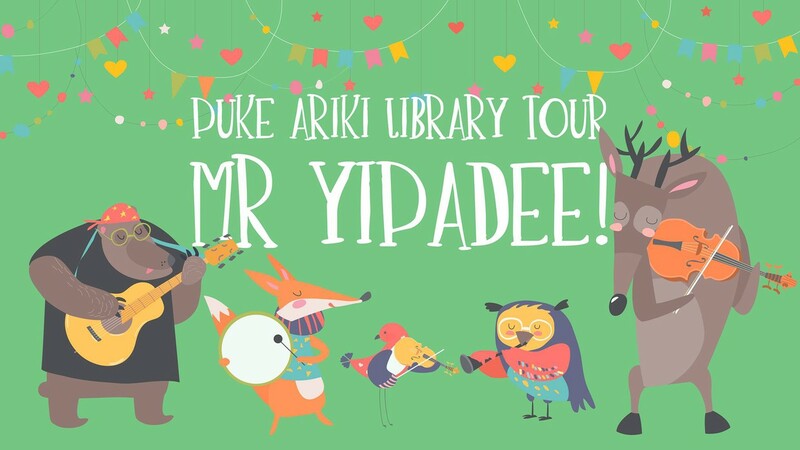 Come along to Bell Block Library on Wednesday 24 April (9.30 -10.20 am) and join in the fun with international best-selling kiwi author, Deano, aka Mr Yipadee! Enjoy a show of live music, with singing, dancing, musical comedy and a chance to read and sing-a-long with his books. 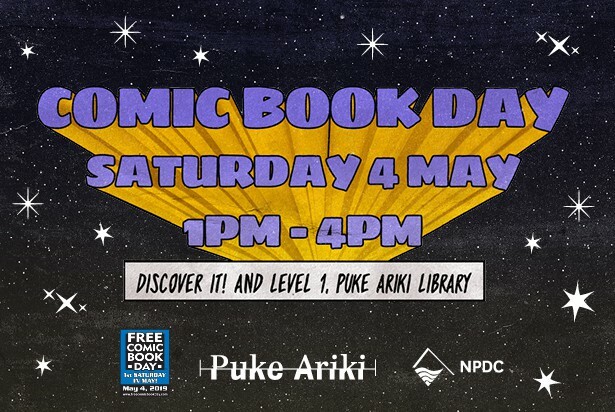 On Saturday May 4 (1pm – 4pm) join us at Puke Ariki for a jam-packed three hours of fun for all the family at the Free Comic Book Day.